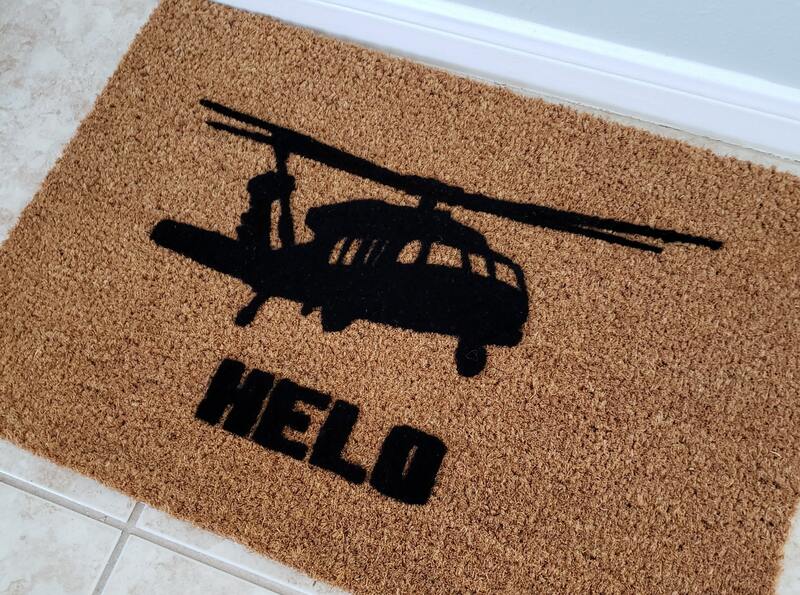 Our HELO doormat is a custom designed we made for a pilot. 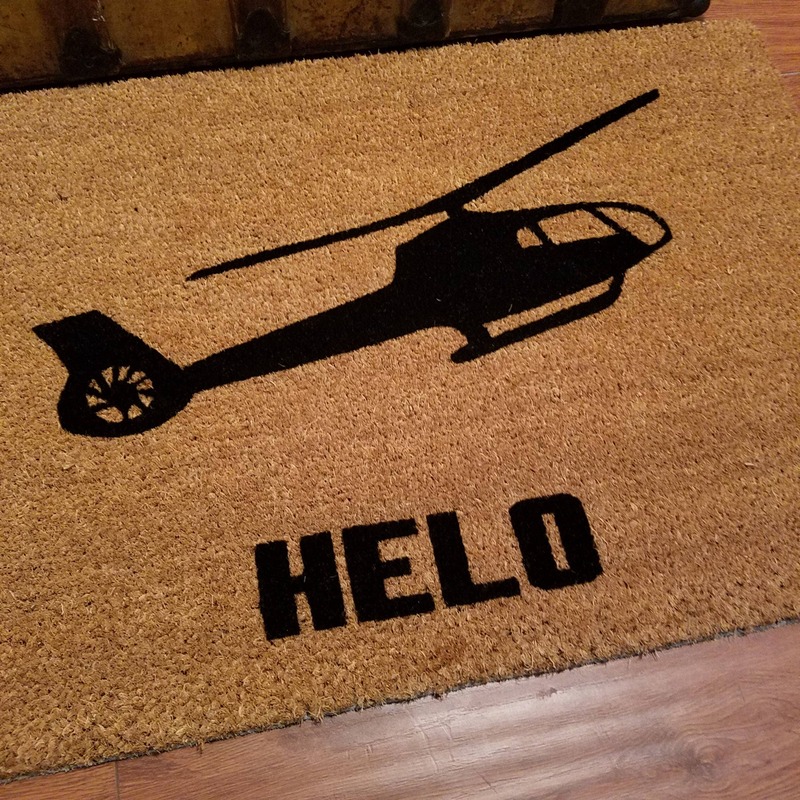 It now comes in 2 different styles. 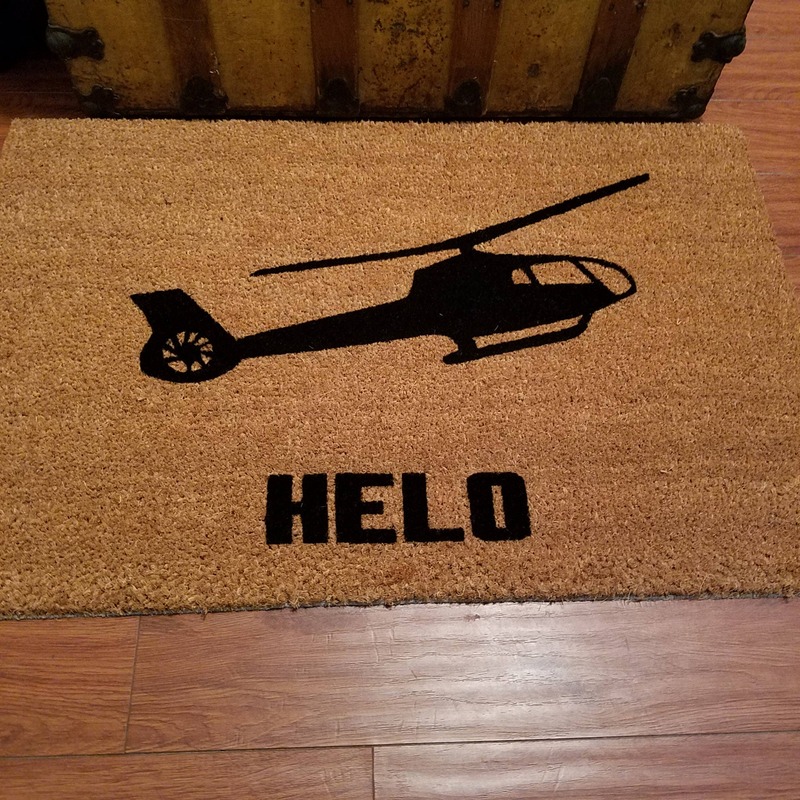 Regular or Blackhawk. Specify which you want at checkout with a "Note to Seller". 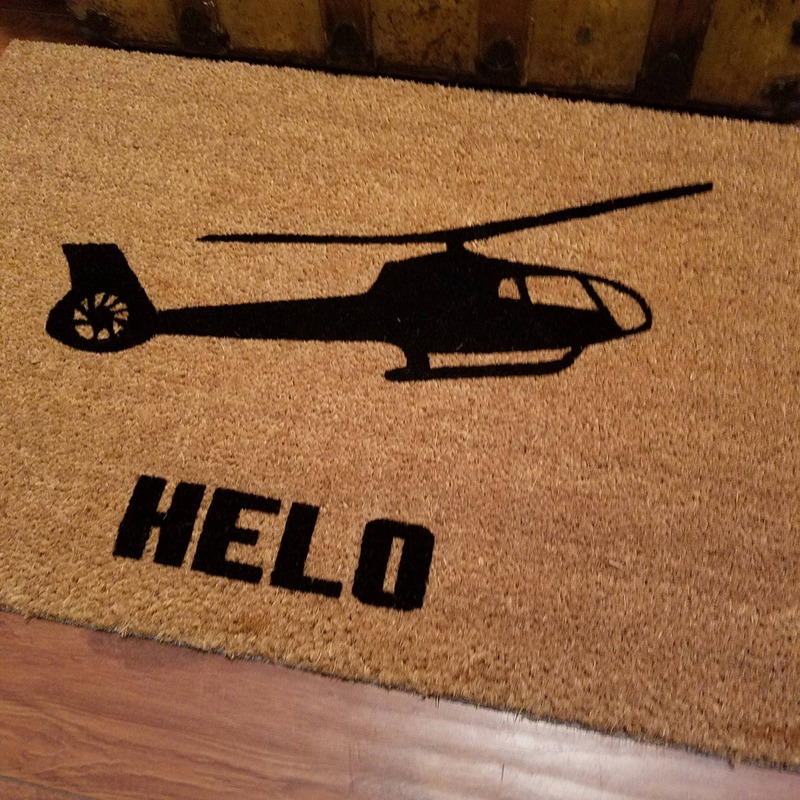 This is a great gift idea for your Pilot friends. 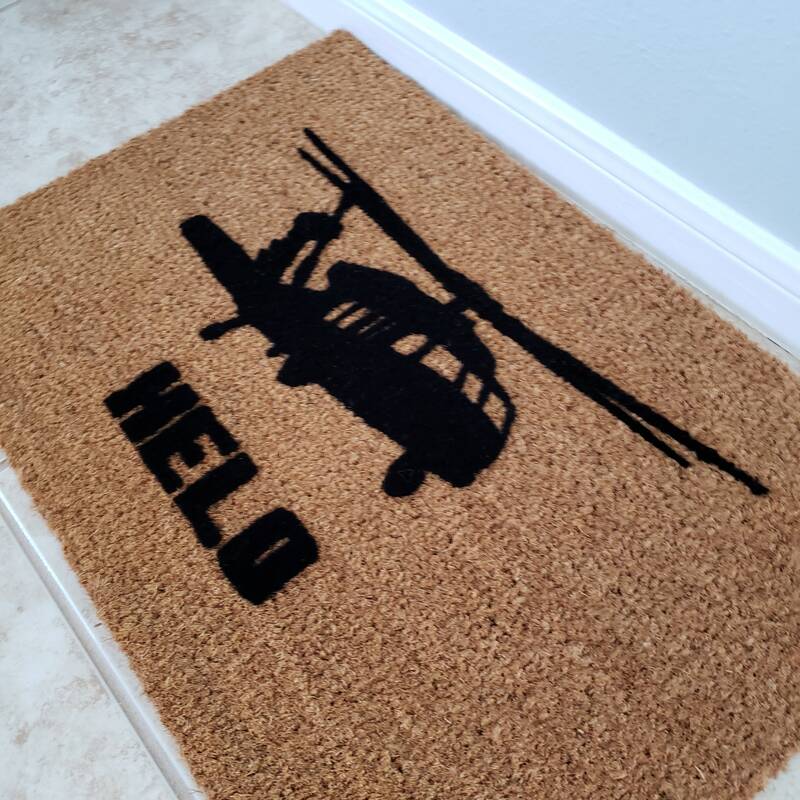 This door mat makes an amazing front door statement for the helicopter enthusiast and is a classy design to adorn your porch. 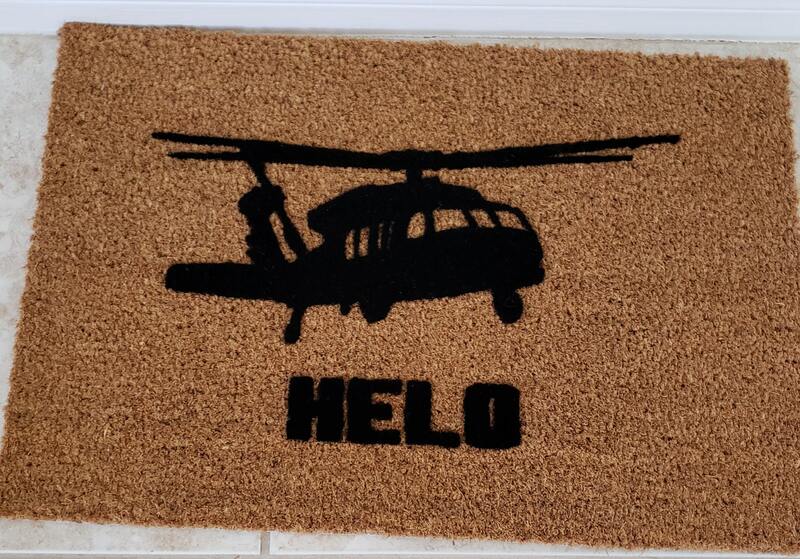 Just add the selected quantity of our 'Grasshopper' doormat to your cart. It's really that easy!